In a world full of exceptional lives and perfect photos, it is difficult to find music that deals with the everyday and mundane. Hyperbole and exaggeration are the themes of the day but Lady Lamb’s third full-length album is brave and clever enough to not only deal with the ordinary world but also to engage with aspects of herself. 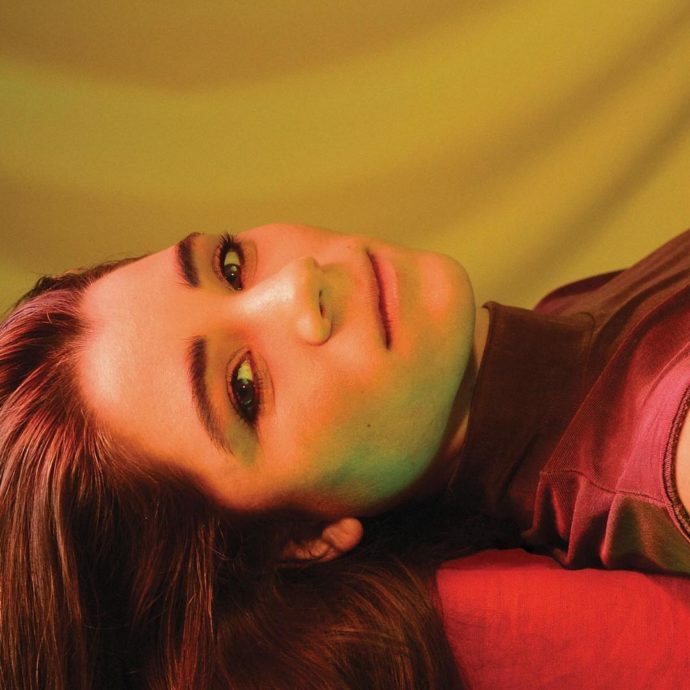 The album is an amalgamation of singular events mixed together to make a patchwork of different genres and moods but ultimately 100% Lady Lamb. With her avid perception and writing about others Even in the Tremor is a new departure for this Maine native. “Strange Manoeuvres” is a pop-punk delight, mixing perceptive lyrics with heavy beats. It’s easy to fall into the trap of only listening to the music but Lamb’s lyrics should not go overlooked. While the music making your knees do funny things, the lyrics are describing time and it’s non-linear fashion. Navigating your late twenties is difficult and many realize that our own chapters don’t necessarily match up with those of our peers. This track is a track of attempted self-acceptance, of knowing everyone in the world is just as crazy, if not even more so. But getting to this stage can swing in roundabouts. Between the loud rage and soft rationalization, this song is definitely a musical manifestation of the psychological rationale of self-acceptance. Dealing with time can be tricky but “Without Name” is a track not only about missed time but also missed opportunities. Starting with a heavy late-90’s coffee shop singer vibe, this track morphs from casual storytelling to downright mournful. Selecting strings to accompany vocals on this track is inspired, constantly bringing a softness to the heart-breaking lyrics. They also present themselves within the track as a force, as if they are constantly trying to egg her on. It is a blisteringly agonizing song that makes you want to switch tracks but keeps you hanging on for the non-existent conclusion. Listening to this album makes time disappear and it’s easy to get lost in it. Either the music takes you or your mind is elsewhere. Even in the Tremor keeps you fully engaged but the rest of the album’s tracks can’t compare to “Oh my Violence”. This track is essentially a fishing line in calm waters. We float along listening to her monotonous voice questioning and dissecting the assumption and cultural misunderstanding that romantic love makes us better people. Revelations come quickly in this track and are delivered with a ridiculously catchy and roaring chorus, like a call to arms. It is the music equivalent of an anxious mind, constantly over-thinking. This is resolved by a weary violin ridden exposition ultimately granting self-forgiveness and patience. Even in the Tremor is full of rage, contentment, and self-acceptance. Lady Lamb approaches it with blunt honesty and bravery making Even in the Tremor a lesson in mundane and wonderful every day bring you back to earth with a reassuring hug.